Due to the need for firmware and hardware updates, this upgrade must be done by Schiit, or by an authorized service center such as Electromod in the UK. Because of this, there is no self-install option, sorry. Yggdrasil Analog 1 cards will not be returned from this upgrade. We've provided a convenient scheduling system that allows you to keep your Yggdrasil until we’re ready to upgrade it immediately. Just place your order, and follow the steps in the series of emails. You’ll be notified when your order is accepted, when to send in your DAC, when the work is performed, and when it’s shipped back to you, for complete transparency. Yggdrasil Analog 2 upgrades are covered by a 2-year warranty or the balance of the original factory warranty, whichever is greater. For factory-installed upgrades on out-of-warranty products, this re-activates the warranty on the complete product for 2 years. 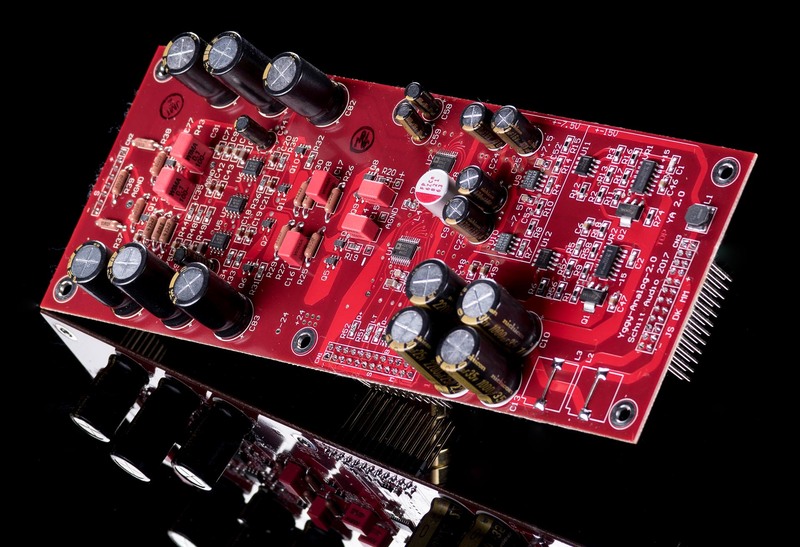 One caveat: Schiit may refuse to do upgrades on heavily modified products. Schiit-installed upgrades cannot be returned. Wait a sec, this has to come back to you for upgrade? This isn't fair! I don't live in the USA! If you are near a service center such as Electromod in the UK, they can do this upgrade for you locally. Contact your distributor to see if they can do this upgrade for you. We are also getting upgrade centers set up in Netherlands, Australia, and Singapore and they should go live in early February 2018. Well, I ain't near a service center, and now I gotta pay all these customs to ship it back and forth! Actually, you won't have to pay customs on the full price of the product. We fill out all the proper forms to ensure this is counted as a return/upgrade, not as a new product. We will declare the value of the upgrade, however ($550), which may require you to pay shipping and taxes on that portion.